The Ford F-150 has long served as America's top-selling truck. With over 40 years of sales success, one thing is certain: Ford trucks offer unmatched performance and capability for your Massachusetts and Rhode Island adventures. Whether you haul goods for work or recreation, you can travel in style in the updated 2018 Ford F-150 from Franklin Ford. 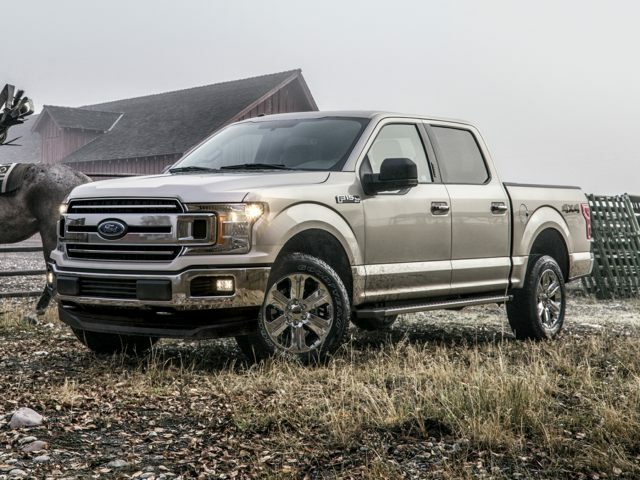 Visit our Ford dealership from the neighboring communities of Attleboro, Woonsocket, Bellingham, Milford, and North Attleboro to discover the features and packages available for the new F-150! A new two-bar grille design and refreshed headlights with LED accents provides a modern face to the mighty Ford truck. Available Bang & Olufsen audio system provides improved infotainment. Standard Auto Start-Stop Technology helps you to improve your fuel efficiency and emissions as you navigate the city streets..
New engine options, ranging from a turbo-diesel 3.0L V6 engine and 3.3L V6 engine to the 5.0L V8 engine. An optional adaptive cruise-control system brings the Ford truck to a stop and a forward-collision warning system detects pedestrians for enhanced safety. A 10-speed transmission provides you with increased performance and acceleration. Discover how the new Ford F-150 pickup can enhance your towing and hauling experience when you visit Franklin Ford! Our Ford sales representatives enjoy helping drivers from North Attleboro, Bellingham, Milford, and Woonsocket discover reliable transportation and we are sure you'll enjoy our new Ford trucks for sale. Contact us to test drive our current new Ford F-150 inventory and learn more about the 2018 F-150!